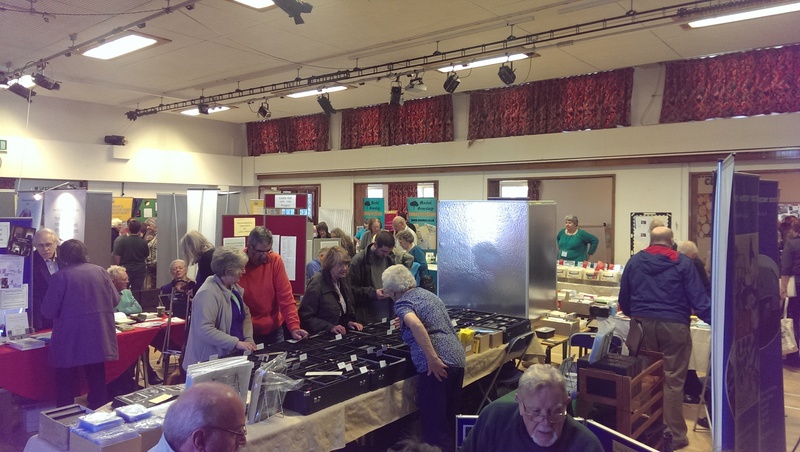 A look back at the Cambridgeshire Family History Fair, which took place on October 25th 2014 at Girton, Cambridge. Yesterday saw the second Cambridgeshire Family History Fair take place – a free genealogy and local history event held in Girton’s Glebe School on the north side of Cambridge. The main Exhibition Hall at the Cambridgeshire Family History Fair 2014. This year’s fair seemed much busier than last year, and although it seemed that there were fewer talks (one room, rather than two), this didn’t seem to affect the hustle and bustle in the main exhibition hall. I went along for the whole day (10am-4pm), as I had my eye on 3 of the 4 expert talks, and also had a few genealogy hurdles that I wanted to try to resolve with the Suffolk Family History Society and the Norfolk Family History Society. I also hoped to bump into the postcard stall that I’d seen at last year’s fair… as I had a specific card to find. My first talk of the day was the first time that I had attended a talk by Mike Petty MBE. His fifty years of collectively working with the likes of The Cambridgeshire Collection, the Cambridgeshire Association for Local History (for which he is currently President), writing a weekly column for the Cambridge News, and being a seasoned lecturer and author for all things Cambridgeshire, has earned him an unrivalled knowledge of the history of the county, and the resources available to research it. Mike admitted he’s not a genealogist – he’s a historian. This actually makes him a perfect speaker to genealogists, as his talk showed a full room how to get beyond the basics of censuses and BMDs, by digging out the more interesting information about Cambridgeshire that is tucked away in newspapers, in photographs, maps, and books. As the audience were quickly scribbling down notes, Mike continued to show how to use online indexes to help make your next visit to a Cambridgeshire archives resource more time efficient. He spoke passionately about the vast card indexes that hold so many clues to resources, but which are themselves tucked away due to space limitations. I’ll definitely make more effort to attend his talks in future – I feel like he could have talked for hours. With a break between talks, I set myself off to see if I could find the Desira Postcards stall that I visited last year, and where I had bought one of two postcards of my Cross family’s bakery shop on Forehill, Ely. Thankfully, the postcard I saw last year was still within their collection, so (ignoring the £8.50 price tag) I bought it, as it’s an example of how Frederick Thompson Cross was advertising his business. He died in 1911, after which his son Frederick Vernon Cross took over. 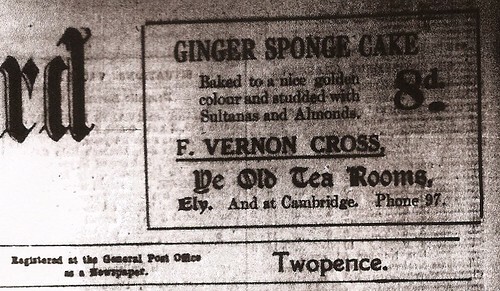 Advertising postcard for Frederick Thompson Cross’ tea rooms on Forehill, Ely, prior to 1911. Having enjoyed the collaborative crowdsourcing Lives Of The First World War project that IWM launched earlier this year, I was keen to see what Carl Warner (Imperial War Museum Duxford’s Research and Information Manager) was going to tell us about their Second World War project: American Air Museum. 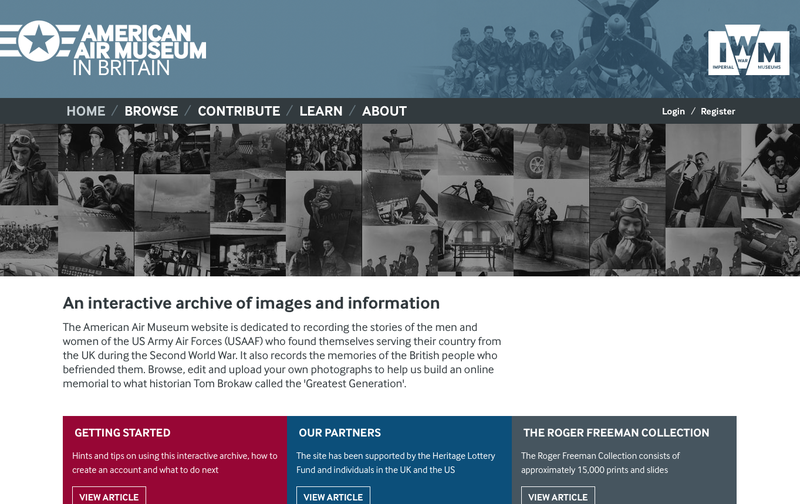 The IWM American Air Museum website has launched. This time, Carl explained that IWM has just launched a new website containing around 15,000 photographs of the USAAF, and that members of the public can register and then add their own, whilst also discuss other images – in a hope to bring names to faces and places, and record the memories of those who remember the presence of American Airmen in Cambridgeshire during WWII. My own Grandmother remembers the American airmen near Mepal, Cambridgeshire, and like many of her generation, it’s pretty much a story about eating ‘candy’ given to them. Little could she understand then as a child, that when she waved them off as they flew away, that many would never return. Ex-BBC Researcher, turned professional genealogist, historian and author, Kathy Chater was my third and final expert speaker to listen in to. Her career background, like that of Richard Benson, would give me the impetus and expert advice I need to decide on how best to write up some of my own family history stories beyond the realms of this blog, and a characterless list of names and dates. Kathy’s advice on breaking down your mountain of research into chunks and focussing on telling each piece of one person’s life at a time, certainly felt to me like a much easier approach. She then suggested that you could then weave a few of these into a story – trying to bring in national, international, social and family events to flesh out the stories and set your ancestor into context. I’ve certainly been looking at how national and world events may have impacted on my relatives – looking at trends in silk and cotton weaving, the impact of the railways, enclosure acts, Cambridgeshire drainage acts, and of course the horror of wars. Like Mike Petty, Kathy recommended turning to newspapers – not just the stories, but the adverts and reviews too – all which would help you to understand the world in which your relatives lived. It was refreshing to hear Kathy give a shot of reality with her comments on being realistic about the publishing of the book – recommending that you should probably just stick to publishing it yourself within your family, and not a publisher. She amplified a message that I’ve heard regularly – file a copy of your book with relevant archives and organisations. Recharged with enthusiasm to get stuck in to what was the 5th of my 5 New Year Genealogy Resolutions for 2014, I hope to at least be able to decide whether I’m going to aim for a novelised or non-fiction approach. I’d like to say thank you to all of the speakers that I saw, and also to the hard work of the Cambridgeshire Family History Society team who organised the event. It’s great to see this growing, and I look forward to next year’s event. Exhibitors at The Cambridgeshire Family History Fair 2014. In the meantime, The Big Family History Fair organised by the Huntingdonshire Family History Society returns in May 2015. 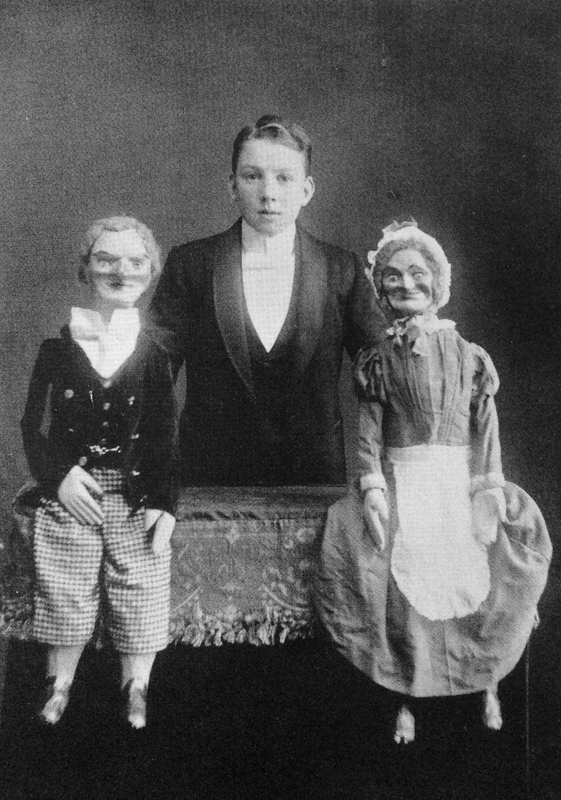 Wordless Wednesday – Frederick Vernon Cross with his ventriloquist dummies in 1909 (aged 13.5yrs). Society Spotlight: In today’s post, I cover the demise of The Cross Family History Society – seemingly a one-person society, that ended with the death of its founder. In this, the second of my history society themed blog posts, I take a look at a society that helped me significantly with my research, until one day the silence fell. Some history societies were born out of an individual’s love of an interest (perhaps a particular industry, or geographical place), and grow until it becomes all consuming for the founder. This leaves the society and its precious work at risk of dying with its founder (as we heard yesterday from Linda McCauley). Back in the late 1990s, I was in contact with a Pam McClymont from Australia. She was the sole worker behind The Cross Family History Society, and she had amassed a vast amount of information about the surname and its journey to Australia from its home in Ely, Cambridgeshire. Her research enabled me to point me towards answers for vast parts of my own Cross family tree (making it easier to verify the data from the UK too). She didn’t have email, or a website, and I don’t think she had a computer either, as she would mail me vast amounts of paperwork covered in her handwritten notes, and even a self-published ‘Who’s Who’ guide (this was typed). Suddenly the correspondence stopped. I wondered whether my letters back to her had been lost in the mail, but I found out just under a year later via another researcher who was more local to her, that the reason for her silence was because she had died. It now makes me wonder whether I hold her most up-to-date research, and what percentage of her work, and whether I have a duty to perform by making it available in some way – perhaps find a way to obtain permission to create Volume Two, perhaps create it as an eBook to help reach a new audience? 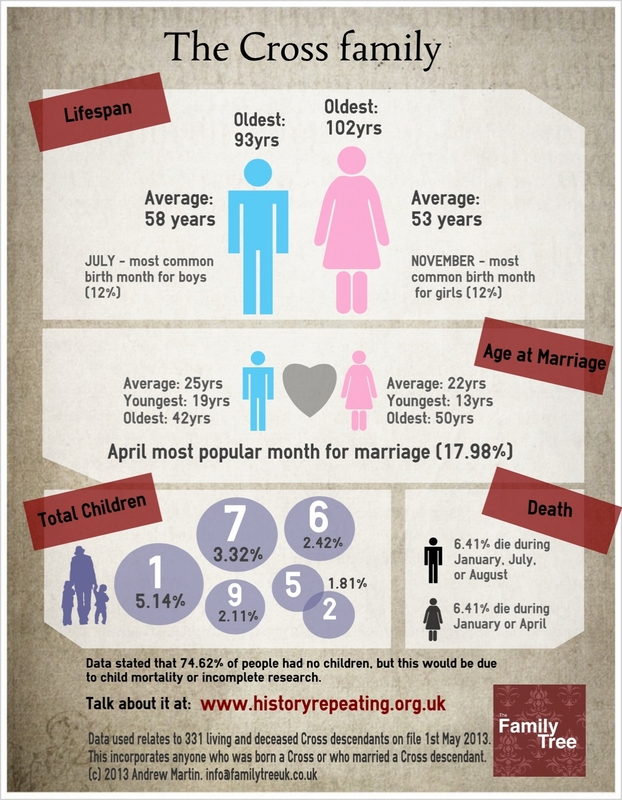 Have you been a member of a family history society that ended abruptly? What happened next? Did the society’s trove of information make it into safety, or has it been lost forever? Leave your comments, thoughts, and experiences in the space below, or join in the discussion over at LinkedIn, and perhaps you can help save another one from an untimely end. Come back tomorrow where we look at the first of the three questions posed to the Societies – What is the Society’s biggest need? The Cross family infographic – sharing stats based descendants from Thomas Cross and his wife Ann of 17th Century Ely, Cambridgeshire, England, including family members who emigrated to Australia in the 19th Century. Riding on the back of the success of my previous (and first) infographic for The Barber family, which provided me with my most popular (traffic-wise) post ever on this blog, and a terrific amount of Facebook shares, here’s my second one featuring my Cross family. The family are predominantly based within Cambridgeshire, but the data also includes a the many that emigrated to Australia in the mid-nineteenth century. 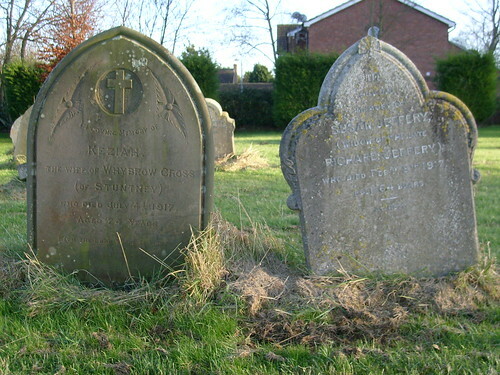 Two gravestones in Ely Cemetery, Cambridgeshire from the CROSS and JEFFERY families. Cross and Jeffery graves, originally uploaded by familytreeuk. 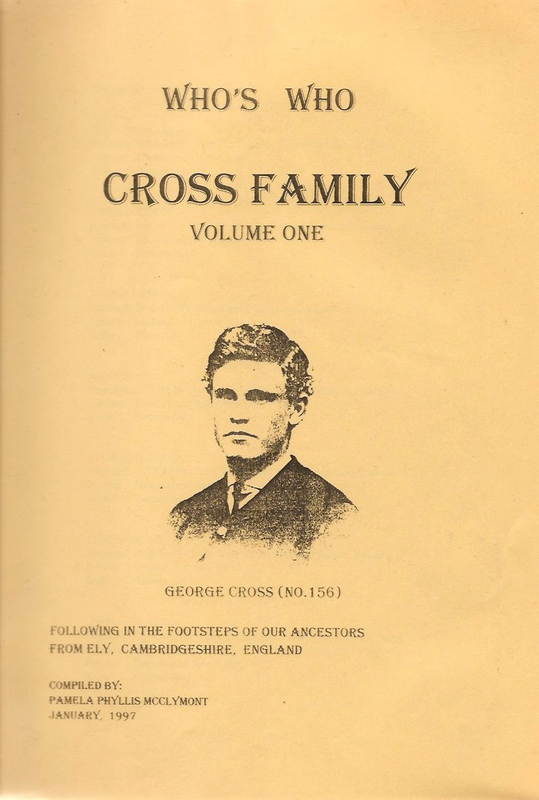 Information about the CROSS family from Ely, Cambridgeshire and their impact on the city, and travels to Australia. Four centuries living in Ely, the Cross family is also one of the largest and most far-reaching. With one of the earliest mentions of the family being a baptism in 1669 at Ely’s Holy Trinity Church, the Cross family went on to rapidly grow in to one of the largest families I have researched. My most recent Cross ancestor was my Great Great Grandmother, Mary Ann Cross who was born in ‘Buggs Hill’ (Cambridge Road), Ely in 1870, as the daughter of George Cross and his wife Sabina Steadman “Vine” Taylor. 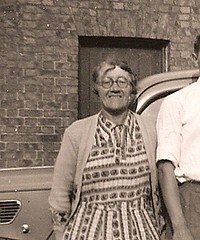 Following on with her parents’ business skills, she opened a shop on the corner of Barton Road and Cambridge Road in Ely which she traded from until her death in the 1950s. The shop closed in the 1980s and is now a private house. Whilst Mary Ann was just the only one of George and “Vine”‘s two children to survive into adulthood, her father was one of 12 children. His father Jacob Cross, was in turn one of 11 children, and his father Philip Cross was one of around 15 children! As you can imagine, the potential for descendants from all of these children from the 3 generations is high and resulted in a large Cross population in and around Ely during the 1800s. For some though, Ely was perhaps too small with all these relatives around in the mid 1800s. Cross family groups like that of (another) George Cross and his wife Julia decided to start afresh in Australia. In 1855 they emigrated, following their older son Matthew who had already gone there to mine for gold. 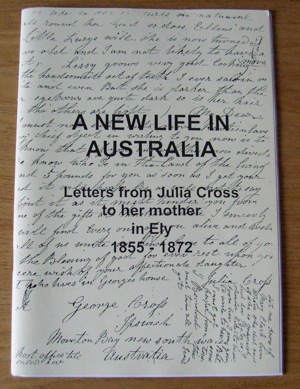 Julia was literate and a great letter writer, and a book of letters that she wrote to her mother back in England has been compiled and is now sold at Ely Museum. Descendants of the Australian Cross families are many, but one – Pamela Phyllis McClymont – decided to set up the ‘Cross Family History Society’. Sadly Pam died several years ago, but she was pleased to pass a lot of information on about the family, including her own book ‘Who’s Who: Cross Family (Volume One, 1997)’ which details no less than 372 descendants from that 1669 baptism. One of the Ely’s Cross residents, Frederick Vernon Cross (known as just Vernon Cross) took on his father’s thriving bakery business on Forehill in the centre of the city. He transformed the business from being just a bakery into what is seen as Ely’s first tea shop, running regular advertisements in newspapers for delicious cakes and tea. Part of the shop also became a space for Vernon to display the artefacts that he had found with his father at nearby Roswell Pits. These included many fossils and bones and his growing collection had begun to dominate the shop. On Vernon’s death in 1976, his private collection was saved by the then recently founded Ely Museum Trust. Today, the museum marks Vernon’s contribution to the collection with ‘The Vernon Cross Meeting Room’. 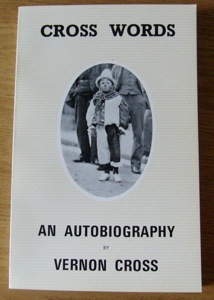 Vernon also published an autobiography titled ‘Cross Words’, detailing his family, childhood, the bakery and his time at war. The shop is now part of The Royal Standard public house, but if you go in, you’ll find that there are photographs on the wall of the old shop and even one of the shop signs is hanging on the wall as a nod to its history. Check out the CROSS family at The Family Tree UK. Taking a trip back in time to Mr Cross’ tea shop on Forehill. Cross Advert 07-11-1930, originally uploaded by familytreeuk. The other weekend, amidst the constant drizzle of a wet Sunday in Ely, I decided that it was about time that I went to The Royal Standard pub on Forehill. I’m tee-total, but my reason for going in there was not so much to warm up over a nice cup of tea or their incredible sunday lunch (check it out)… it was actually to step back in time and visit the very location where my Cross relatives opened Ely’s first tea shop. My mother has always wanted a tea shop herself, so when I discovered that the Cross family had kept one, she was excited by the news. 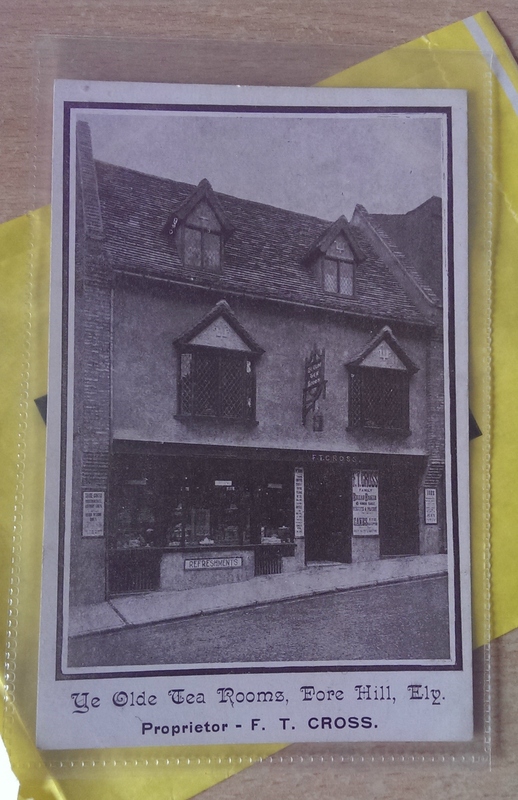 The shop, based in a 16th century building about halfway down Forehill (now the right hand side of The Royal Standard), was opened by Frederick Thompson Cross in about 1892. He originally intended the shop to be a picture framing business but after adding a side-business of a bakery, it was clear what Ely wanted most. The bakery expanded, selling fine cakes and sweets and Mr Cross reaped the rewards. In his spare time, with his son Frederick Vernon Cross (F. Vernon Cross), he would search places like Roswell Pits, in search of antiquities like fossils. His son, Vernon, was also a keen performer and he traveled the country performing magic tricks and ventriloquist acts (his father made the dummies – and they have been preserved in Ely Museum). With the bakery taking off, and their collection of historic items growing too, Vernon began to blend the two together after his father’s death and combined a small museum and bakery. Upon Vernon’s death, his collection was donated to the Ely Museum, where it forms an important part of their exhibitions. They have even named a function room after him. I was pleased to recently find the above advert on the top right front page of the Ely Standard, dated 7th November 1930. It seems that Vernon ran several consecutive advertising campaigns on the newspaper header. The cake certainly sounds very appetising. It was a nice feeling when I saw that The Royal Standard, although under new ownership, still had the “Frederick Thompson Cross” wooden shop sign and a framed photograph on the wall. I didn’t mention my connection but instead tucked into a huge Sunday roast on a plate that was almost too big for the table – another satisfied customer! I have yet to establish where his Cambridge shop was located. There are a few strange names in my family tree – Yarrow, Moden, Tingey, Gotrop, Babbage and many more but none are quite as strange as the female firstname of Vine. 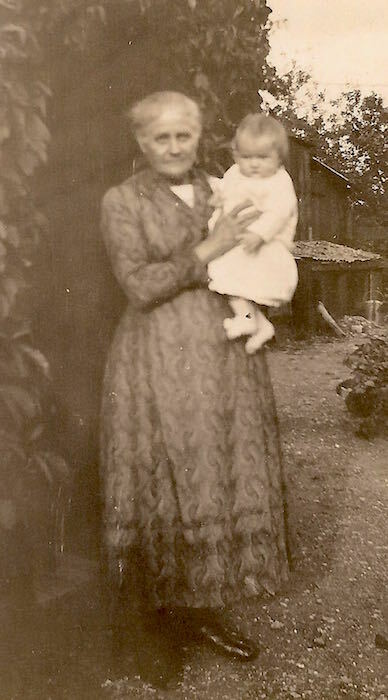 My Great Grandmother’s older sister was born as Vine Elizabeth Moden in Ely in 1893. She married a Frederick Newell of Ely, where she remained until her death in 1980. She has always been referred to as ‘Aunt Viney’ – but it has often occurred to me as to what a strange first name that is. Often, strange names like Vine, are simply a maiden name of a maternal ancestor re-used – and I’ve seen them occur as middle names but rarely the first name. I decided that I should try and find out where the name Vine came from. The 1870 birth certificate of Mary Ann Cross (Vine and my Great Grandmother’s mother), gave me their parents – George Cross and Vine Taylor. This was backed up by the Census returns for 1871 onwards. “Vines” Cross was the landlord of The Eagle and Lamb pub on Cambridge Road in Ely during 1899-1904, preceded by her husband George from 1892 until his death in 1898. 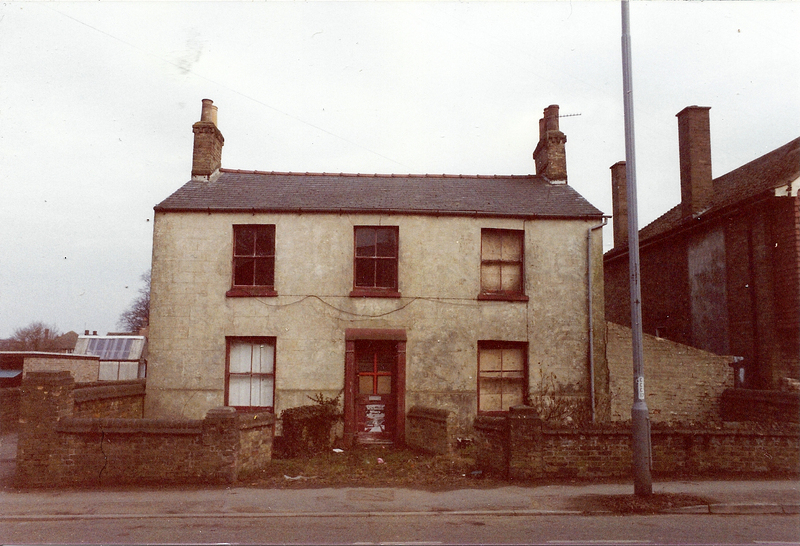 The pub has long since been demolished (although I’d love to see a photo of it). Having seen the census returns and found the burial entry in 1916’s Ely Cemetery for Vine Cross (née Taylor), I decided to try and find her birth certificate. However, no ‘Vine Taylor’ was indexed as registered in Cambridgeshire and searches at FindMyPast, the IGI and Ancestry.co.uk brought me no closer with their wider UK searches. With Vine Taylor having been born in the 1850s and married with a 1yr old Mary Ann Cross by 1871, 1861 was to provide the clue I needed that would link Vine Taylor to a Taylor family… but, ah.. the flood. The critical record I needed was the one that was destroyed by flooding years ago. Stuck until a chance comment on RootsChat.com (where I post most of my awkward puzzles that magically get solved in hours) when a forum member suggested I tried variants of ‘Vine’ – real big strange variants – and that brought up a ‘Sabina Taylor‘ – born in Ely at about the right date (1852). Quite how you can go from Sabina to Vine in 10 easy steps, I’m not sure.. but I gave it a go and ordered ‘Sabina Taylor’s’ birth certificate. I soon found that Sabina was the illegitimate daughter of Susan Taylor of Cutter’s Yard, Ely and that she also bore the middle name of Steadman. ‘Susan’ linked nicely in with my tree too – with my Gt Grandmother and her deceased infant Aunt also having this name. With another name thrown into the midst, I started tracing Susan Taylor, to see if Steadman or Vine played a role in her family tree… in a bid to confirm that this Sabina was the right person in my tree and if so, to then find the Vine link. I found no trace of Vine there, having found myself in the mid 1700s. After browsing through marriage records, I stumbled across the marriage of Sabina’s mother to a William Steadman in Ely, in 1856. This made me feel certain that the ‘Steadman’ appearing on Sabina’s birth certificate was right – confirmed by this, their eventual marriage. …until I started looking at William Steadman’s ancestry (afterall, at that point in my research, I was quite enjoying the potentially ‘surrogate’ family). I soon found a baptism for William Steadman’s younger sister, and there it was…… Vinecrow Steadman. She was baptised on 13th August 1836 but lived only the age of 1 year. Again, expecting to find that the mother of this Steadman family once used the maiden name of ‘Vine’, I was proven wrong. In 1829, James Steadman married Elizabeth Murfitt in Ely… but at second glance, there it was again. Witness to the marriage was a Vine Steadman!